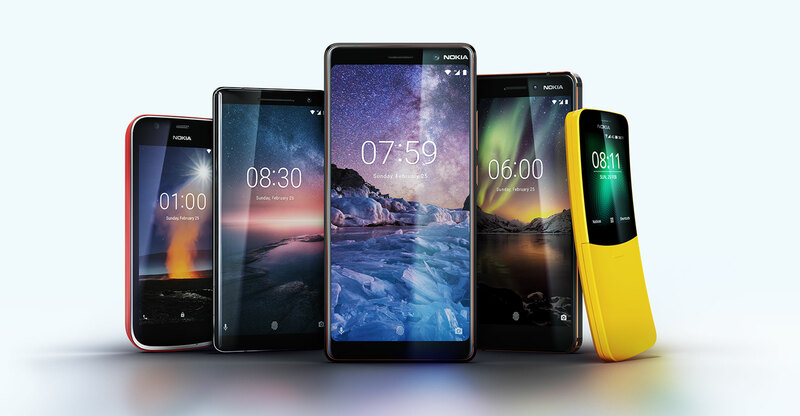 HMD Global, which has the global licence to make Nokia-branded phones, has launched a new flagship device, the Nokia Sirocco, which will go on sale in April. The Android Oreo-powered smartphone, which has curved Gorilla Glass 5 that the company claims can withstand the pressure of three grown men standing on it, is the latest high-end phone from HMD Global, which is slowly reintroducing the Nokia brand to the world after Microsoft’s failed acquisition of the once-iconic smartphone brand. The Nokia 8 Sirocco looks very good on paper. It has a Qualcomm Snapdragon 835 processor, which is paired with 6GB of RAM and 128GB of flash storage. It has a 5.5-inch 2K OLED display and is virtually bezel-less, meaning its footprint is smaller than the previous flagship phone from HMD Global, the Nokia 8, introduced in 2017. The Sirocco name is taken from Nokia’s former high-end feature phones and is meant to appeal to consumers who have affinity for the brand. The new device has a recommended retail price of €749 (about R10 600 before import duties, VAT and other taxes). The new phone, which has two rear-facing cameras — a 12-megapixel “ultrasensitive” lens paired with a 13-megapixel telephoto lens — features wireless charging, IP67 water and dust resistance as well as fast charging and wireless charging. It offer 360-degree “special audio” and three “quality” microphones that “can record distortion-free sound at the loudest rock concert”, HMD Global said ahead of the Sunday launch of the device at Mobile World Congress in Barcelona, Spain. The Nokia 1, an entry-level device with 4G connectivity and running Google’s new lightweight Android Go operating system. The phone, which has interchangeable covers, will be available in April for US$85 (about R1 000 before taxes). It is meant to target some of the estimated 1.3bn feature phone users who haven’t yet upgraded to a smartphone. The Nokia 1 has 8GB storage and 1GB RAM, and supports SD cards up to 256GB in size. A refresh of the Nokia 6, introduced at Mobile World Congress in 2017. The fingerprint reader on the updated device has moved to the rear, increasing to the screen-to-body ratio. The phone has a 5.5-inch 1080p display and has Zeiss optics on the camera for the first time. HMD claims the new phone is 50% faster than its predecessor and uses a Snapdragon 630 processor paired with 3GB of RAM. It also supports USB-C fast charging. It will cost €279 (R3 700 before taxes). The Nokia 7 Plus, which has the same rear-facing cameras as the Sirocco along with a 6-inch 1080p display in 18:9 aspect ratio and a face unlock feature. It’s powered by a Snapdragon 660 processor and has 4GB of RAM. It has a huge 3 800mAh battery and will go on sale in April for €399 (R5 700 before taxes). It will come in black/copper and white/copper variants. The Nokia 8110, a reinvention of the classic Nokia feature phone of the same name (see story).